"We share an instinctive appreciation for the subtle blending of art and design, functionality and abstract expression, combined with a love of material – especially glass. Over time our work has developed its own distinctive signature, based in Italian cutting techniques ‘battuto’ combined with Swedish overlay and an exuberant use of colour. Colour, light, texture, pattern, and shape together allow us to reveal an undercurrent of meaning and value." 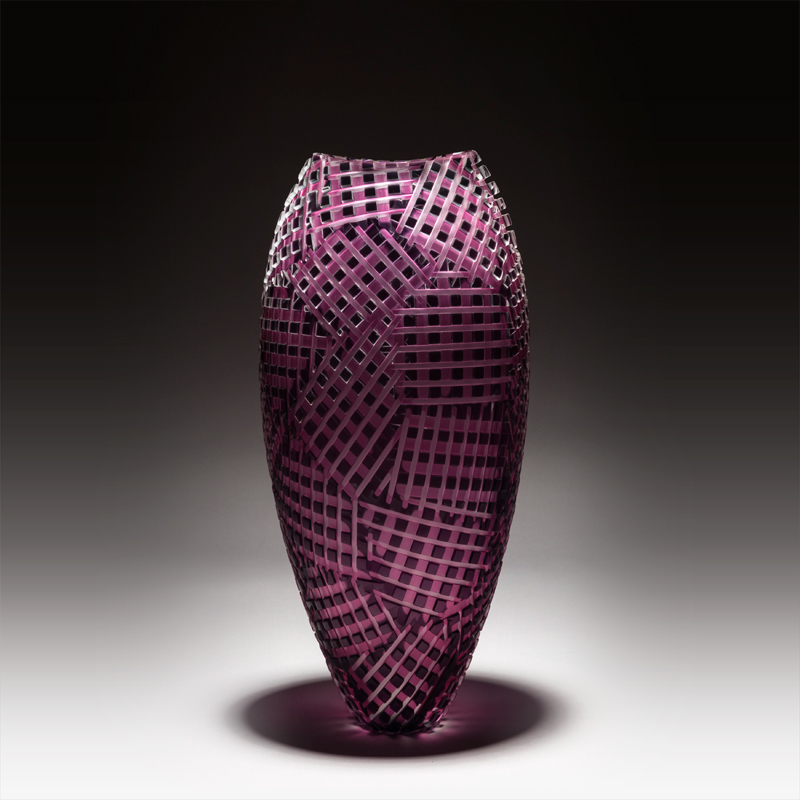 Artists and master glassblowers Philip Baldwin and Monica Guggisberg, have explored all the techniques associated with glass production to develop their own captivating style involving interesting combinations of shapes and colours. The legacy of three decades of work is a large spectrum of creations ranging from tableware to installations of a sculptural and even monumental nature. New York-born Philip Baldwin and Swiss native Monica Guggisberg both studied at the Orrefors Glass School in Sweden and worked as assistants to glass artists Wilke Adolfsson and Ann Wolff. In 1982 they left Sweden to open their own studio in Switzerland. They continued their work as glass artists for 20 years in Switzerland and more recently in Paris, where they moved in 2001. “We have been a team for 28 years. It has been a kaleidoscopic journey which has brought us through almost every aspect of glass as a medium – craft, design, art, sculpture, architecture. Hot, cold, simple, complex. Our learning curve has been one of constant exploration bound together by certain very basic overarching themes, a love of the material, a sense of art as an expression of beauty, and the driving desire to weave our work with our everyday life, to find joy in what we make, both the process and the results of those processes." Monica and Philip have received numerous awards including the “Grand Prix des arts Appliquées 1999,” Lausanne, Switzerland; the Federal Commission for Applied Art, Switzerland; and IKEA Foundation, Sweden. Their work is included in private and public collections including the Museum of Arts and Design, New York; the Denver Art Museum; Musée Ariana, Genève, Switzerland.